Hey guys! This week I was going to do a super long write up about my guest blogger Daniela and her amazing site, but then I realized that everything you need to know about it is in her blog name (and ad). Two Sweet Bakers is a blog that features the most delicious and the most healthiest recipes! Well, maybe not the most in the entire world, but really, who can claim to have that title? So until it is proven to me otherwise, I am giving it to today’s guest blogger. I just know that you will love this treat today. What are you waiting for? Try it out for yourselves! 1. Preheat the oven at 360°F / 180°C. Line a baking sheet with parchment paper. 2. 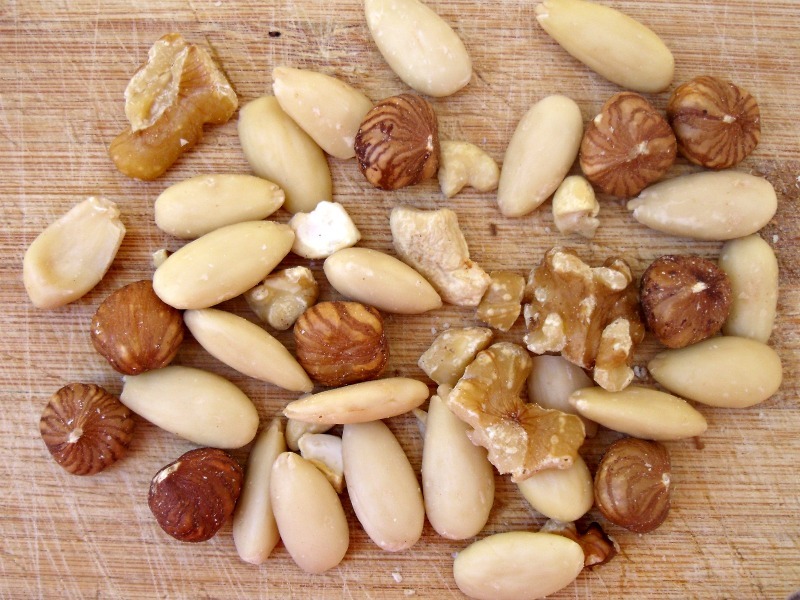 Put the nuts in a blender or food processor and blend till the mixture resembles crumbs. Alternatively you can use a knife and chop the nuts till they resemble crumbs. This will take some time but it is still effective. 3. Add the egg and water. Stir until the mixture comes together in a quite stiff dough. 4. Place the dough directly on the lined baking sheet. Press the mixture with your hands to form a rectangle, about 0.1 inches (2-3 mm) thick. If the dough sticks to your hands, cover the dough with a piece of parchment paper on top. Now press on the parchment instead of directly pressing the dough. 5. Spray some water on top of the dough and sprinkle with sea salt. 6. Bake for about 10 minutes. Always keep an eye on the oven, they burn easily. Leave to cool, slice into rectangles and store in an air tight container. Enjoy! My food blog is all about simple, healthy, all natural food. Sometimes I get my inspiration from the leftover ingredients I have. When I had two bags of mixed raw nuts in the kitchen, I had to do something with them. The solution? 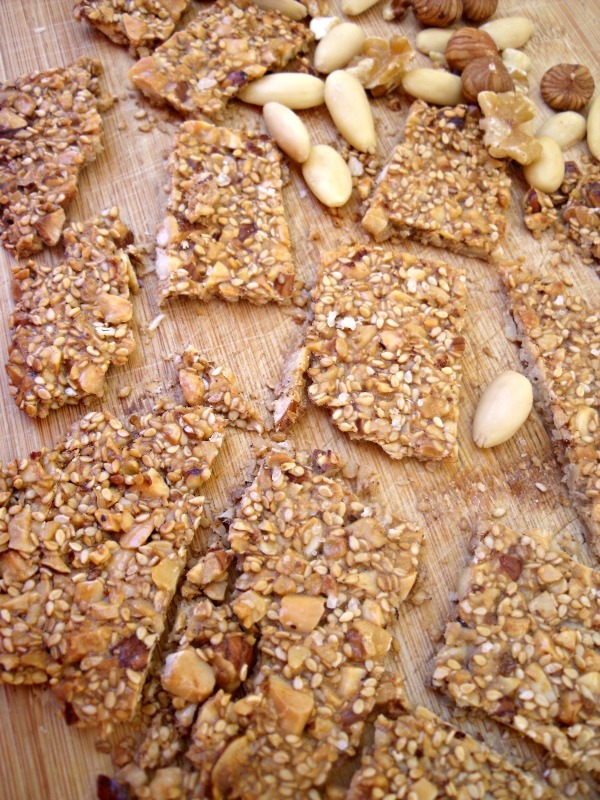 Make seed and nut crackers which have a generous sprinkling of sea salt on top. Yum! 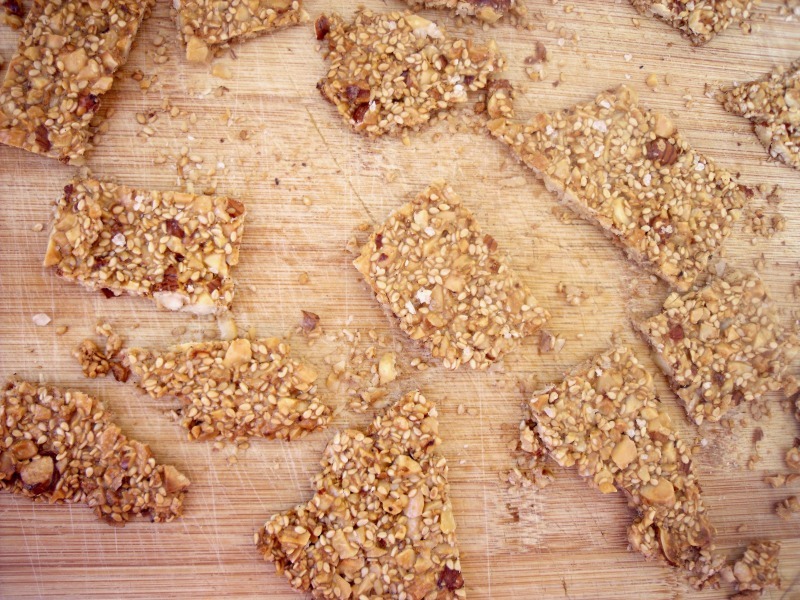 These crackers could easily become a pantry staple. They require wholesome ingredients and are super simple to make. These crackers taste amazing and are super filling so hooray! What a clever idea! The next time I have spare nuts I will be making these for sure, thank you for sharing! What a great way to use your leftover nuts! They look delicious!